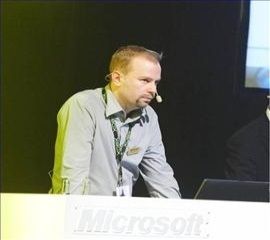 How to develop a SharePoint WebPart old style, på svenska. I'm checking with the team about this. 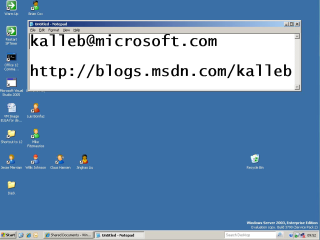 Send me an email on kalleb@microsoft.com and I'll see to it that you can get the screen cast some other way. It's fixed now! Thanks for the headsup! I'm guessing that you mean "... UPLOAD multiple pictures..."
This is outside my area of expertise, but when you choose Forms Authentication you most often don't click in "Enable Client integration" in SharePoint because this is best practise. I'm guessing that you haven't implemented the GetUser function. Set breakpoints on all the functions (they throw exceptions from the beginning), and then attach to the w3wp.exe processes. Then you should be able to see which function that doesn't do what it's supposed to do. 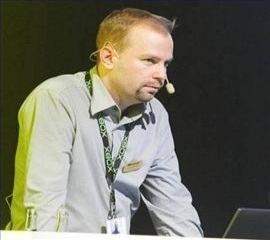 My next screencast will show how to build your own Membership provider that can be used on any ASP.NET 2.0 site (including SharePoint).